Habit: Borrichia arborescens is a semi succulent perennial shrub to 1.5 meters in height. 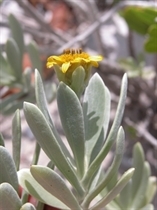 The leaves are arranged oppositely, to 12 cm in length and glabrous or covered with silvery tomentose hairs, with a dentate or entire margin, tapering leaf base and acuminate leaf apex. The monoecious, complete, actinomorphic and zygomorphic flowers are arranged in heads. The heads are subtended by a series of involucral bracts. The calyx is modified as a ring of small projections (pappus). There are both perfect and imperfect (carpellate) flowers in the heads. The perfect flowers are in the center and the imperfect flowers are arranged around the edge of the heads. Each flower is subtended by a bract. The zygomorphic, imperfect flowers have 3 white fused petals and no stamens. The actinomorphic, perfect flowers have a corolla with 5 fused, yellow petals. There are 5 stamens fused at their base. In both types of flowers the ovary is inferior with a single locule but only the imperfect flowers have functional ovules. The fruit is an achene at maturity that retains the modified calyx (pappus) that is fused forming a shallow cup. Distribution in Bahamas/Globally: Borrichia arborescens occurs throughout the Bahamian Archipelago, Caribbean, Florida. 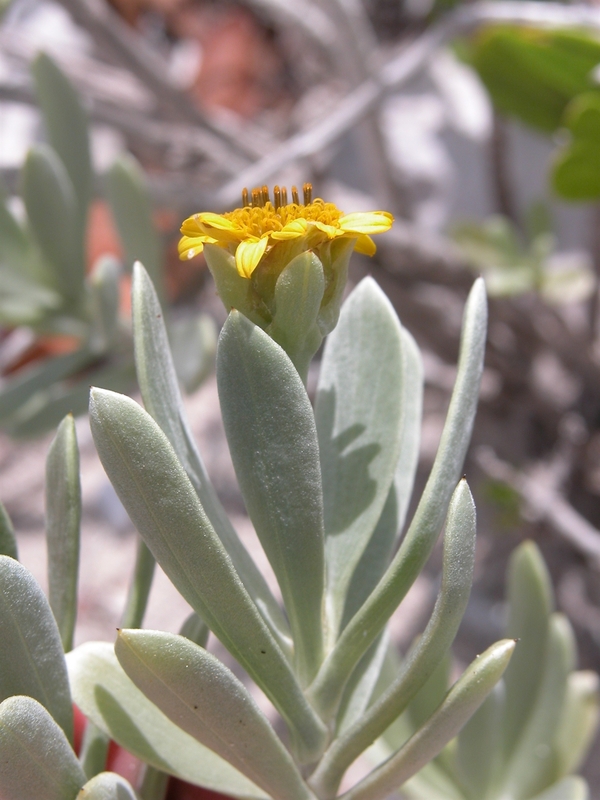 Medicinal/Cultural/Economic usage: Borrichia arborescens is not used medicinally in the Bahamas.